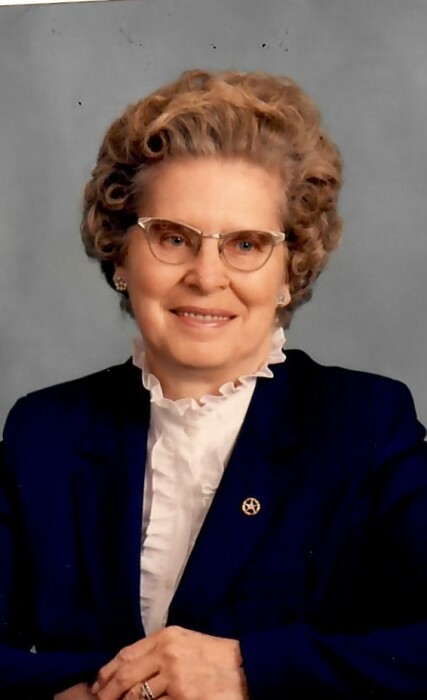 Helen J. Raybuck, 93, formerly of Turniphole, Licking Twp., and St. Petersburg, passed away Wednesday evening, April 10, 2019 at Parker Personal Care while in the company of her sister Georgie. Helen was born in St. Petersburg on March 8, 1926. She was the daughter of the late Harold E. “Happy” and Margaret I. Ketner Nevel. She was a graduate of St. Petersburg Richland Twp. High School and was a long time active member of the Mt. Joy United Methodist Church. In her earlier years she had been employed by Clarion Hospital Supply in Shippenville. Helen was a member of the Order of Eastern Star Clarion Chapter #267. Helen was a homemaker, enjoyed traveling, spending winters in Florida, hunting, and attending Masonic functions with her husband, Arnold, as well as crafts, crocheting, and attending the St. Petersburg Senior Center. Helen was married to Arnold Albert Raybuck on August 12, 1944 at the Free Methodist Church in Clarion. Mr. Raybuck preceded her in death on December 7, 2001. Surviving are two sisters, Georgie L. Landers of Parker and Barbara A. Grossman of Slippery Rock; two sisters-in-law, Marie Nevel of Parker and Doris Trunfio and her husband, P.R., of Burke, VA , as well as a number of nieces and nephews and a great nieces and nephews, and a long time family friend and neighbor, Susanne Heeter and her husband, Ed of Turniphole. In addition to her parents and husband, Helen was preceded in death by three sisters, Phyllis Cotherman, Bernice McCoy and Betty Davenport and three brothers, Robert, Paul and Harold Denton “Pete” Nevel, as well as a number of brothers-in-law and sisters-in-law. Friends will be received at the Hile Funeral Home Inc., 802 Grove St., St. Petersburg, from Noon – 3:00 p.m. Sunday where a funeral service will follow from the funeral home at 3:00 p.m. with the Rev. Dan Myers, a retired Methodist pastor, officiating. Interment will follow in St. Petersburg Cemetery. Members of OES Clarion Chapter #267 will conduct a memorial service for their departed sister at 2:45 p.m. Sunday at the funeral home. Memorial contributions in Mrs. Raybuck’s memory may be made to any Masonic charity. For additional information or to send a condolence, please visit www.hilefh.com.